'From Earth to Sirius' is a form of message sent from the Earth to the brightest star. It is composed of 20 exclusive tracks prepared especially for this compilation. Each of the participating projects presents a slightly different character and style, and, at the same time, shows a different aspect of the cosmic theme, its strong relation to the Earth cycle and human life. The music on the album oscillates between psychedelic drone, dark ambient, tribal and downtempo. 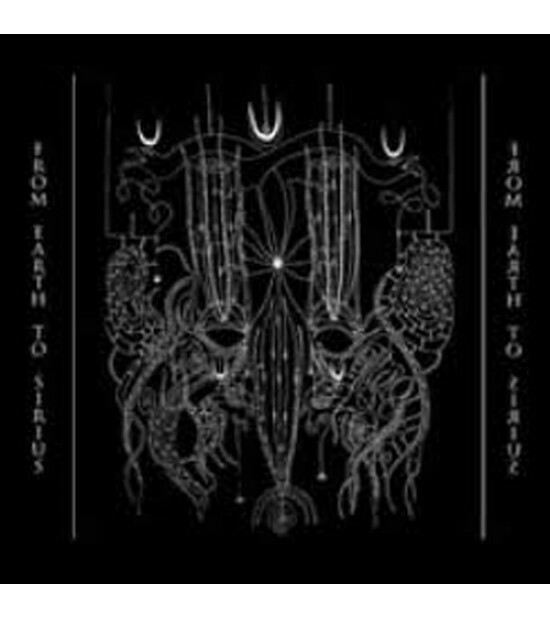 Some of the projects approach the theme in the vein of ritualistic music, others realise their ideas through the sounds of universe and deep dark infinite space. There are humorous overtones as well, so characteristic for R.A. Wilson. The huge array of styles and themes depicts how wide and multilayered concept is the cosmos, its meaning and influence on the human lives. Double CD format featuring exclusive tracks from Rapoon, S.E.T.I., Electric Uranus, Atomine Elektrine, Nordvagr and Hybryds.